After a beautiful Summer the next best thing is a bright and beautiful Fall day. 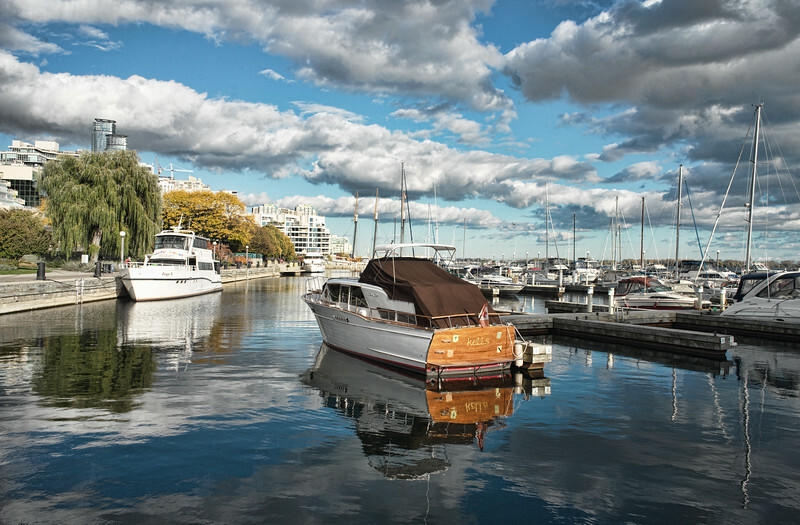 Many of such days can be enjoyed in Urban Toronto down on the Waterfront, with bright blue skies and huge fluffy, scudding clouds taking their time floating across the sky. Enough time for me to get them reflected in the almost perfectly still water. Brightness to make you happy when Winter skies are grey.